Why is using Honda Genuine Oil important for your Honda? All engines consume oil as part of their normal operation. Therefore, your Honda's engine oil levels must be checked regularly. The engine oil level in your vehicle must be checked at regular intervals, ideally when filling the fuel tank or before a long journey. Start the engine and leave it running until the engine has reach its normal operating temperature. Park the vehicle on a level surface, switch off the engine and wait for approximately 3 minutes before checking. Withdraw the dipstick and wipe clean. Insert the dipstick fully. 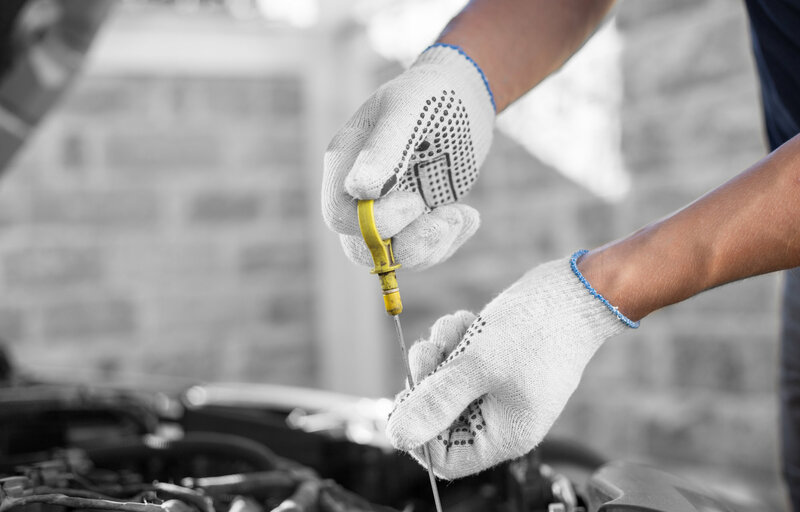 Withdraw the dipstick and hold horizontally while reading, to ensure that oil does not run up or down the dipstick. The oil level should be between the maximum and minimum marks on the dipstick. If the engine oil is at its lowest level or close to it, the engine oil must be topped up. There is approximately 1 litre of oil between the indicated maximum and minimum levels on the oil dipstick.